Are you looking to save on everyday items at the commissary on Hulburt Field Air Force Base near Mary Ester, Florida? If so, look no further than MyMilitarySavings.com and sign up for an account. Our coupons page pulls coupons from multiple places, including DeCA Rewards, Coupons.com, newsletters, flyers, and more, so you’re able to access savings all in one convenient place. We send a number of coupons via weekly newsletters. We also provide links to Price Connexion and Coupon Connexion, which are flyers that your local commissary distributes in the store to promote sales. As a member, you’ll have exclusive access to members-only contests and sweepstakes that are hosted by brands like Purina, Kraft, and our other partners. Additionally, your free membership will also come with the benefit of being able to customize your home page. Here, you’ll be able to set your home base to Hulburt Field AFB so you’ll be able to see specific information regarding your exchange and commissary. So, what are you waiting for? 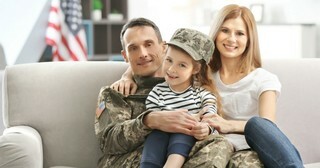 If you want to start saving at the commissary and exchange on Hulburt Field AFB near Mary Ester, FL, register for your complimentary account on MyMilitarySavings.com today.